The downside was carried forward to the present week. Gold prices edged down on Monday as the dollar rose and demand for safe-haven assets eased after U.S. Treasury Secretary Steven Mnuchin said a trade war between China and the United States was “on hold”. Spot gold was down 0.2 percent at $1,289 per ounce during early trading hours on Monday. The dollar rose versus the yen and hit a five month-high against a basket of currencies on Monday, after Mnuchin’s comments downplaying a trade dispute with China, boosting risk sentiment amid hopes for an easing of trade tensions between the world’s two biggest economies. A stronger dollar makes dollar-denominated gold more expensive for holders using other currencies. Furthermore, rising U.S. interest rates and the expectation that U.S. Federal Reserve will raise rates again next month, limits investor demand in non-yielding bullion. Adding fuel to fire we saw, Holdings in SPDR Gold Trust, the world’s largest gold-backed exchange-traded fund, fell 0.1 percent to 855.28 tonnes on Friday. After slumping over the past few months, some think that rally in gold prices will soon be over. Prices have fallen more than 5% since their April high and on Tuesday slipped below a key level $1,300 for the first time this year. Markets have been positioning for rising interest rates, which tend to move opposite of gold prices with regard to the opportunity cost of non-interest bearing assets. 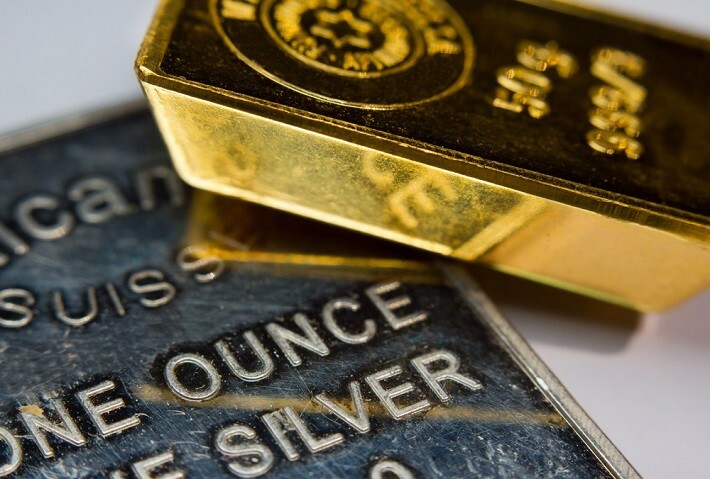 European Crisis– Signs of turmoil in Europe may help revive haven demand for gold. In Italy, bonds and stocks plunged Friday, as the Five Star Movement and the League reached a coalition agreement to govern the country, outlining proposals that may pressure public finances. It seems that debt crisis in Italy would have a far bigger impact than one in Greece. Demand for gold from China– Chinese jewellery sellers are working to attract a prosperous, more sophisticated, younger generation of customers by expanding and diversifying its selection. Following a slow retail year for jewellery in 2017, China is looking forward to strong sales in 2018. Withdrawals at the Shanghai Gold Exchange have been above average at 170 tons monthly. April’s demand for gold was up 28 percent from 2017. With political tensions between the U.S. and China escalating, Chinese investors are turning to gold bullion as an economic hedge. First quarter 2018 saw the demand for gold at 78 tons. In addition to jewellery, the Chinese government has been actively increasing its gold supplies for the past decade, along with its ally, Russia. This move is believed to precede China’s plan for a gold-backed Yuan, which could significantly devalue the U.S. dollar and could replace the dollar as the global reserve currency of choice. If this happens, the price of gold is expected to rise to new, unprecedented heights, along with a political power shift from the West to the East. Gold has always been in demand for its intrinsic value. If current trends continue and the demand for gold accelerates at its current rate, the price of gold will skyrocket. The dollar –The “trade-weighted” gold price, a measure of the value of gold based on major currency movements, suggests that dollar strength explains much of the recent weakness in gold prices. And though the euro has fallen nearly 5% against the dollar over the past three months, the two currencies may switch places soon which could further provide some support to the price of the yellow metal. Demand for inflation hedges – Both inflation and expectations for rising prices have been steadily rising this year – personal-consumption expenditures hit the Federal Reserve’s target of 2% in March. And while the central bank is on track to raise rates at least three more times this year, inflation jitters could still drive investors to the ultimate safe haven asset that is gold. This, in turn, could feed through into higher demand for inflation hedges, like gold which means a rise in gold prices too. Investors this week will be keeping a close eye on the minutes of May’s Federal Reserve meeting, to be released Wednesday, along with preliminary purchasing manager indexes in the euro zone. Geopolitics remains in focus as South Korea’s president visits Washington to discuss North Korea and Brexit negotiations resume in Brussels.